So the BBG 12 week challenge with Kayla starts tomorrow January 9th!! I’m so excited! As I’ve mentioned before, I’ve been doing Kayla Itsines' Bikini Body Guides for almost 8 months now (with a few breaks in between!) and I’m looking forward to re-starting tomorrow with all of the BBG community which is so motivating and encouraging. With this new challenge, I will also be adding some personal challenges to my workouts such as increasing the weights, trying to complete more reps AND most importantly I will be incorporating at least two HIIT (High Intensity Interval Training) sessions per week. 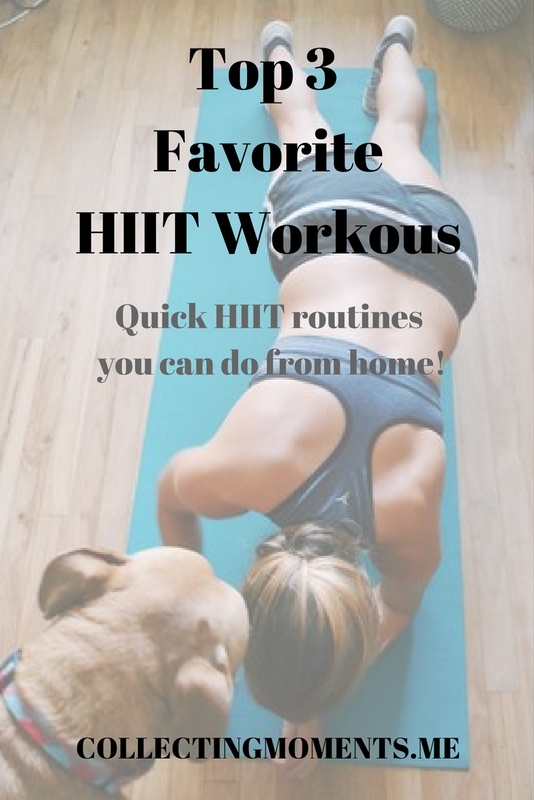 I’ve been experimenting with adding HIIT to my BBG routine and trying to find quick and easy ways to complete them, and I’ve found myself going back to three simple and basic HIIT routines that I will share with you in case you would also like to add them to this new 12 week BBG challenge! *Tip: time yourself and see if you can beat it next time! *I know - just one move! This was a GREAT HIIT workout suggested by My Sweat Life on her IG and I added my own twist. Let me know if you try any of these HIIT workouts and how it goes for you!